Do you speak without thinking and unintentionally hurt people? There may be sometimes where you speak something which hurts the other person. 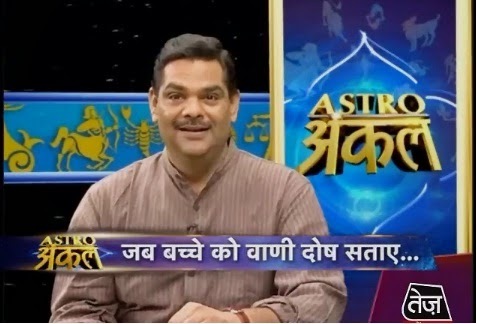 Here is why such things are happen, learn how to speak carefully, astro uncle episode on 9th November, 2013 on Vani dosh. Sometimes it happens that you discuss something with someone but suddenly they feel bad and advise us to control the tongue. Child speaks bad words when there is combination of Mercury and Rahu. Sun is also responsible for sleep of tongue. Speech problem occur due to mars. Weak Saturn also affects speech. You can go with children to religious place and take bath on Mauni Amavashya. You have to keep silent. You will get benefit. Take the root of Vidhara, tie it up in green thread and wear it in throat. You can do meditation by seeing green color. You will get benefit by taking vicinity of an idol. To take control on your speech you have to do meditation. You have to worship your dainty to remove the speech disorder. Take 3 copper coins tie up in green color and wear it in throat on Wednesday. Remedy: You can use Shikakai if you have hair fall problem. Keep curd in sunlight and use it on your hair. You have to wash your head after 15-20 minutes.